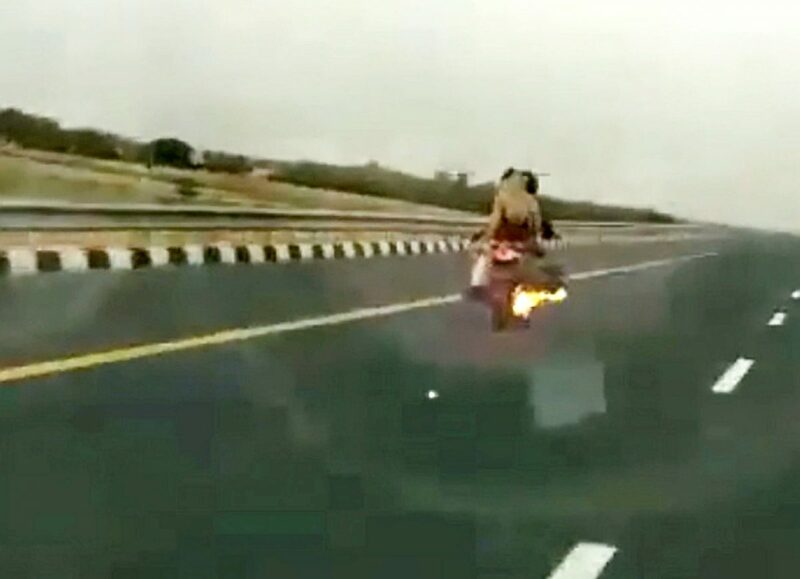 This shocking footage captures the moment a police saved a motorbike rider and his family as they drove down a highway – unaware that their bike was on FIRE. 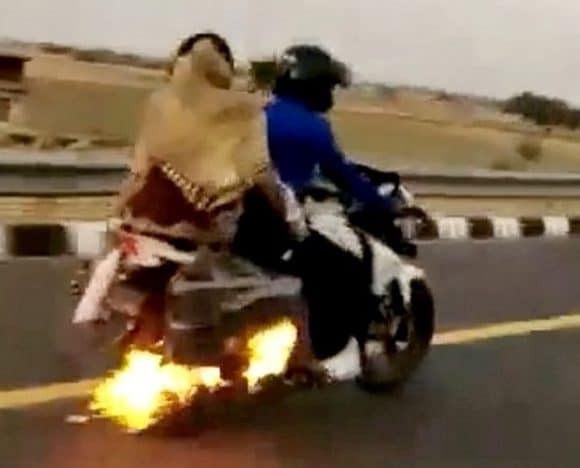 The biker was cruising down the three-line highway with his wife and toddler riding pillion, oblivious to the fact that the rear of the machine was was ablaze. Footage, captured by an overtaking police Jeep, sees an officer shouting for the biker to pull over, before driving ahead and pulling up in front of the bike. Flames were billowing out just inches from his wife’s feet – as she sat on the back of the bike, not wearing a helmet, and holding onto their child. Police officers leapt from their vehicle and rushed to put out the fire, as the biker ushers wife and child away from the motorcycle. 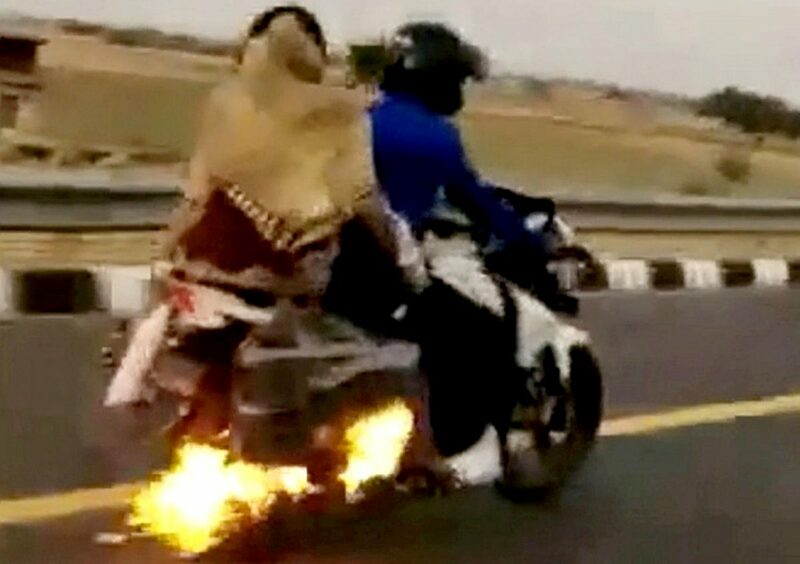 The police are heard yelling: “Get away from the bike, it may explode”, as they work to put the fire out on the Agra-Lucknow expressway in Utter Pradesh, northern India. 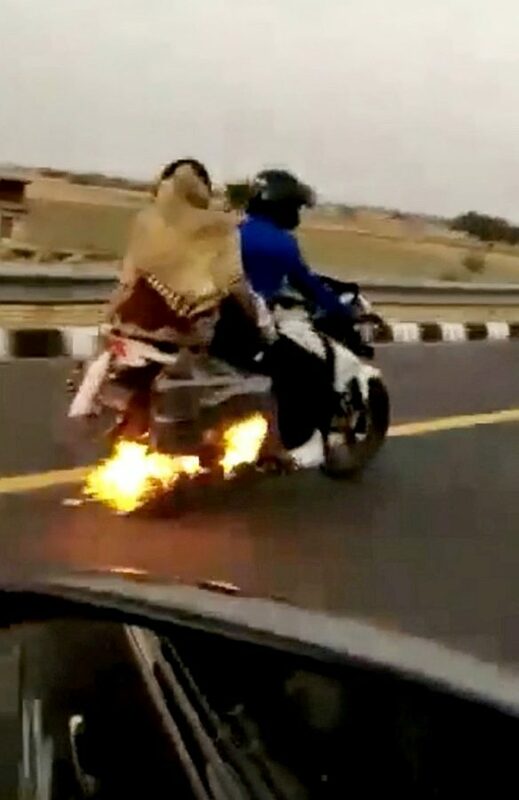 The fire was later put out and the biker continued with his journey.